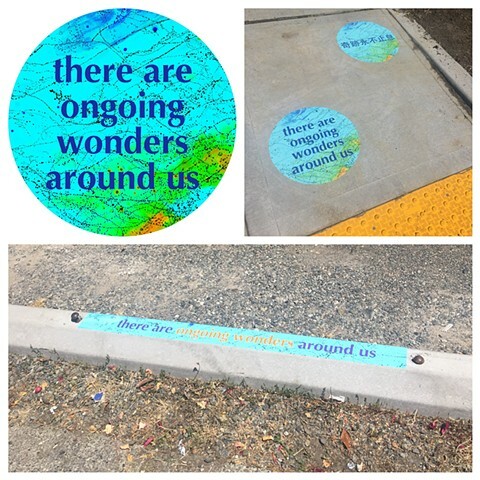 For Art Interruptions 2018, I created a Path of Wonderment and Connection: a series of colorful street graphics that include both imagery from my map art and also phrases that I wrote about connection and wonderment. 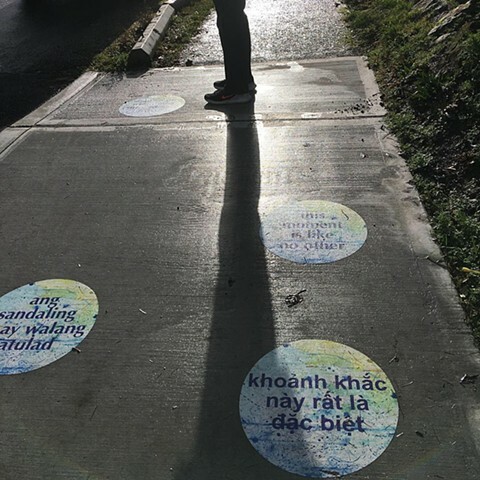 I had these phrases translated into the six languages most frequently used in Rainier Valley: English, Spanish, Tagalog, Vietnamese, Mandarin, and Amharic. 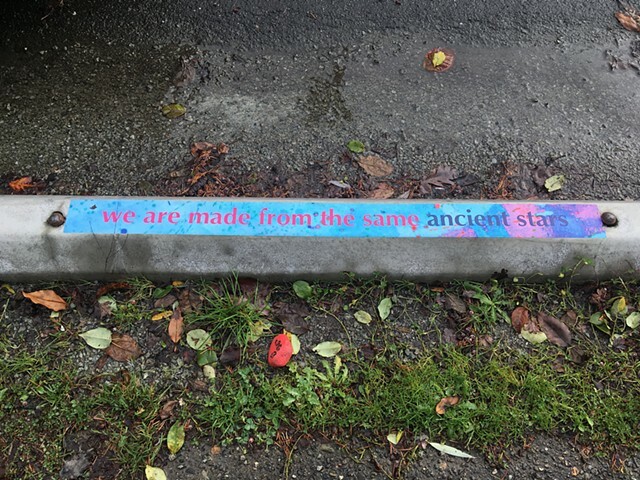 I also had the phrases translated into the Duwamish language, Lushootseed, which was spoken in the valley long before any other languages were spoken there. 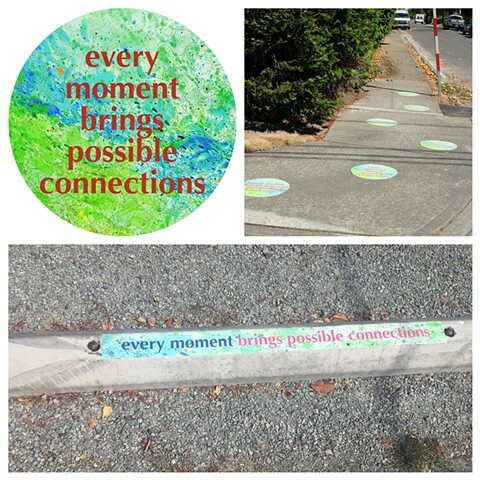 I installed these street graphics on the sidewalks and some of the wheel-stops along 46th Avenue between S. Kenyon Street and S. Cloverdale. 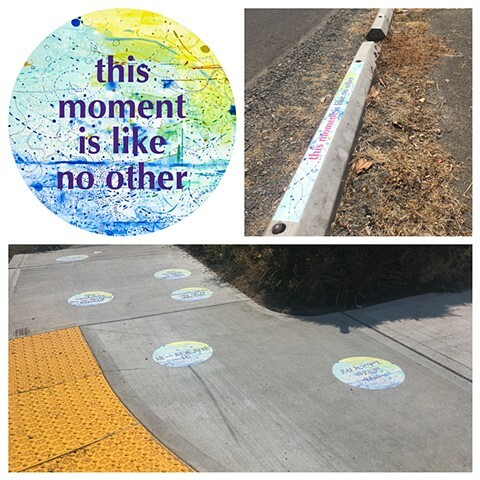 I hope the colorful graphics and phrases about connection will provide moments of unexpected delight and contemplation to those who pass by. 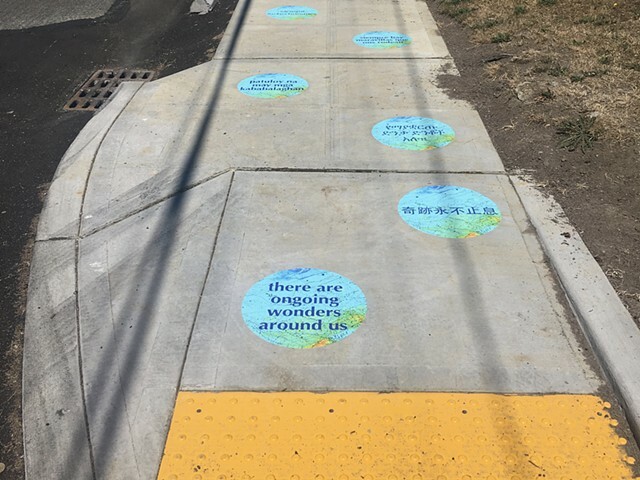 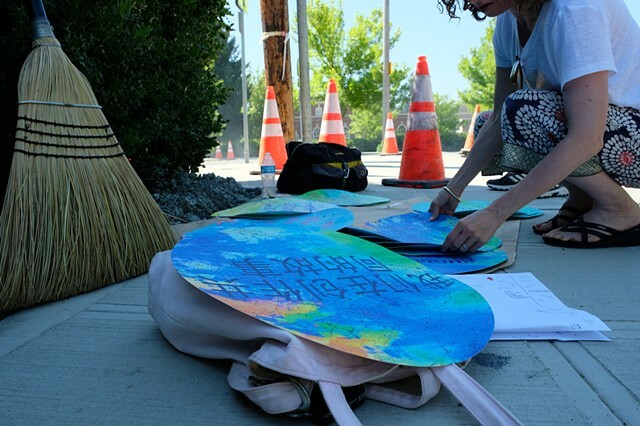 The Office of Arts & Culture (ARTS), in partnership with the Seattle Department of Transportation (SDOT), selected me and six other emerging public artists to create temporary art installations along the new Rainier Valley Neighborhood Greenway. 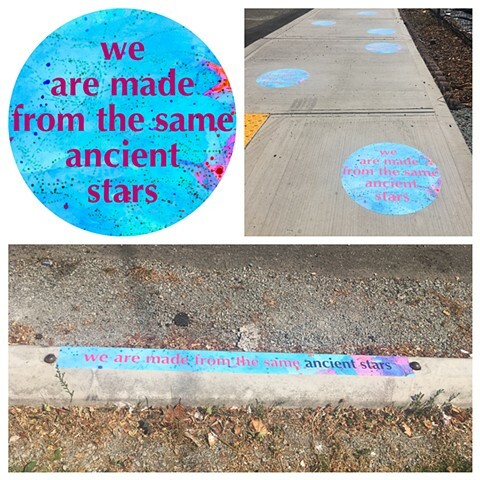 These works are part of Art Interruptions, a project connecting neighborhoods through art. 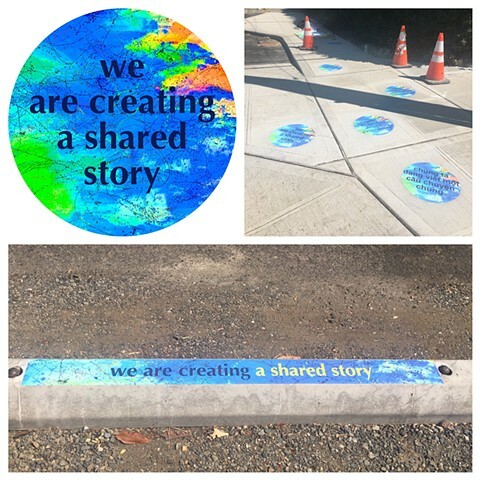 The work is on display from August 2018 - July 2019.